A primary school principal in Sixian links Christmas to the invasion of the Western powers during the Opium Wars and after the Boxer Revolution. High school students swear to fight "the invasion of Western parties" which is an "aggression against Chinese culture". 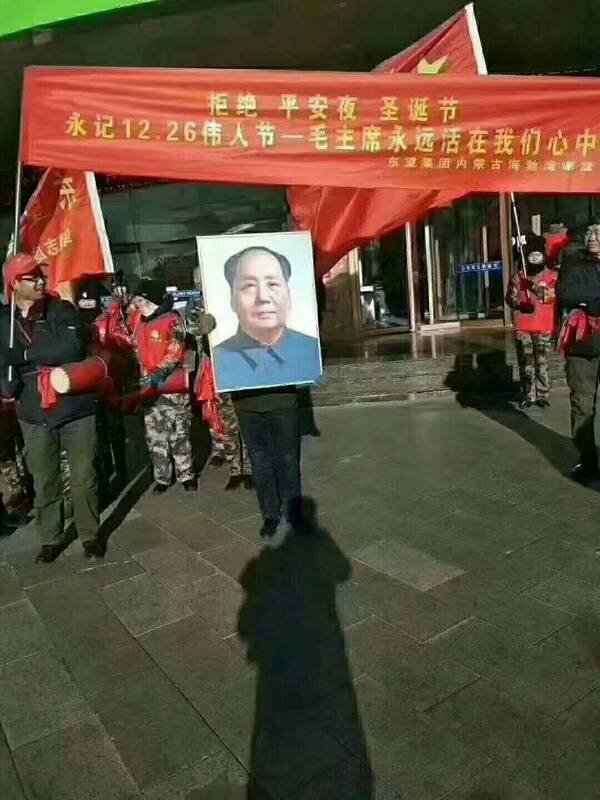 Street demonstrations to "reject Christmas" and remember Mao Zedong. Beijing (AsiaNews) - For the Chinese people, celebrating Christmas is "a burning shame" and "an aggression against Chinese culture"; rather than celebrating the birth of Jesus on December 25, it is better to celebrate the birth of Mao Zedong on December 26th. These are some of the slogans that echoed across some cities in China this week, following the ban on displaying Christmas decorations and prohibiting Christmas-themed gatherings. For several years there have been attempts to reduce the impact and "spiritual pollution" that Christmas causes among the Chinese population, especially in the university world. This year prohibitions included the exchange of good wishes, decorations in the windows of the shopping centers, Christmas songs and sales. In recent days the war against Christmas has taken on even more nationalistic tones. On Christmas Eve, in Sixian County (Anhui), Dong Xuefeng, principal of the city's primary school, gathered schoolchildren and gave a speech saying that Christmas is a disgrace to the Chinese people because of past humiliations received from the powers Western, all Christian. Dong spoke of the opium wars and the Anglo-French invasion of 1860, which destroyed the imperial summer palace in Beijing (the Yuanmingyuan which, among other things, was designed by European Jesuits). And he continued to talk about the crimes of the powers that invaded China in 1900 (Britain, France, Germany, Japan, Russia, Austria, United States and Italy), after the Boxer uprising. "Apart from the Japanese - he specified - all of them were Christians. The crimes they have stained in China are too numerous to list. " After him, a pupil gave a speech in which he recalled that the day after Christmas is the anniversary of Mao Zedong's birth. "For the Chinese - he said - this should be the day to celebrate". On Christmas Day, in the county of Gushi (Henan), in Taohuawu high school the teachers organized a special oath ceremony (see video 1). Repeating the teacher's words, the students proclaimed: "The invasion of Western festivals is actually an aggression against Chinese culture. As a descendant of the yellow emperor [the legendary forefather of the Chinese race - ed] I swear, starting today, to support self-confident cultural self-consciousness and the legacy of our civilization. I want to follow the Chinese holidays! ". 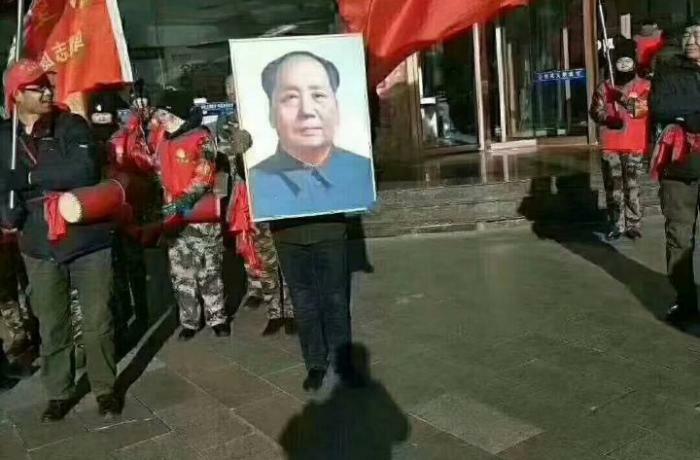 In previous days, in some cities of Inner Mongolia there were demonstrations in the street and in front of businesses of groups that shouted slogans such as "We refuse 'Silent Night' and Christmas! "; "We always remember President Mao Zedong!" (See photo). In other places, talks were held about Christmas, its link with the Western powers that humiliated China, the rejection of the December 25th celebration and in praise of the memory of Mao Zedong (video 2). The fact that the same issues emerge in different places shows that all the events are orchestrated by the Chinese Communist Party's Propaganda Office, which has publicly defended this "war on spiritual pollution", because it helps young people "to correct their vision on life and values".